Jesse is a Certified Medical Assistant (CMA) who brings six years of Dermatology experience to The Breslow Center. Her career in the medical field began as a lab assistant at Fletcher Allen Health Care in Burlington, VT. She graduated from Eastwick College in 2009 and has been working in the specialty field of Dermatology. Jesse is excited about her new career in Plastic Surgery and all of the aspects of the Medical Spa. She works alongside of our doctors and meets with patients on a daily basis. 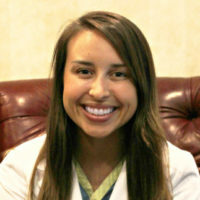 She has a caring nature and exudes a passion for individualized, special care to each and every patient. Outside of work, Jesse loves the outdoors and is an avid hiker. Her favorite hikes include the Catskills and the Appalachian Trail. She also enjoys kayaking, traveling and is a gourmet cook. She is a loyal Knicks, Jets, Mets & Rangers fan. Melissa has been with The Breslow Center since 2007 and has dedicated her career in Nursing to Plastic & Reconstructive Surgery. As Director of Nursing, she assists with all medical aspects of the practice. With over a decade of experience in plastic surgery, including 4 years of assisting the operating room, Melissa is an integral member of our team. 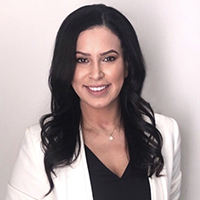 Melissa is highly knowledgeable in all aspects of plastic surgery patient care and she enjoys working with patients and directing them through a positive surgical experience as well as the many other services we provide. 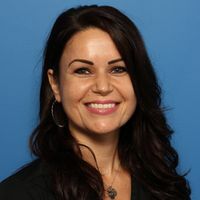 Melissa is an active member of the International Society of Plastic Surgical Nurses as well as the Society for Plastic Surgical Skin Care Specialists. 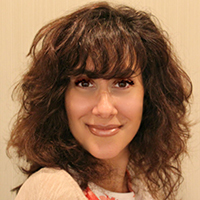 In addition to serving as Director of Nursing, Melissa is a Certified Aesthetic Nurse Specialist. Under the medical direction of Dr. Breslow, Melissa provides aesthetic consultations and treatments for those who are interested in improving their appearance and self-esteem with non-surgical facial rejuvenation. Melissa is extensively trained in the latest techniques in non-surgical facial rejuvenation using BOTOX®Cosmetic, JUVÉDERM® , VOLUMA®. VOLBELLA®. RADIESSE® and BELOTERO®. Trained extensively by Dr. Breslow, along with renowned leaders in the industry and top aesthetic manufacturers such as Allergan and Merz, Melissa has mastered her craft and is a highly sought-after expert in non-surgical facial aesthetic rejuvenation. 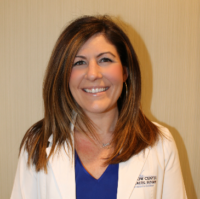 Melissa earned the prestigious CANS (Certified Aesthetic Nurse Specialist) credential in 2014 and is one of only a handful of plastic surgical nurses in the North East to attain this specialized certification. Melissa’s artistic eye and vast knowledge in plastic surgery patient care make her ideally suited as an exceptional Certified Aesthetic Nurse Specialist. Melissa regularly attends aesthetic seminars and national conventions to keep abreast of the latest trends in injectable treatments, so her patients achieve a more beautiful and natural look. She prides herself on developing lasting relationships with her patients, by providing natural results with the utmost comfort in mind. As a leading provider for cosmetic injectable treatments, Melissa is also a Certified Speaker and Trainer for Allergan, the manufacturer of BOTOX® Cosmetic and JUVÉDERM®. 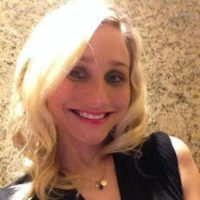 Melissa’s role as a Certified Speaker and Trainer for Allergan’s Aesthetic Consultant Exchange (ACE) is dedicated towards educating physicians and other medical providers on the latest advanced injection techniques with special regard to the understanding of facial anatomy, clinical safety and the efficacy of their products. Melissa’s years of hands-on experience and expert results have made her exceptional in this advanced role. Madison, our physician assistant, has been practicing in the field of Plastic and Reconstructive Surgery since completing her degree. She earned her Masters of Science in 2012. Prior to joining The Breslow Center she previously practiced at John Hopkins Hospital. Her goal each and every day is to deliver the most extraordinary patient care possible. Madison’s focus is to assist Dr. Breslow in caring for his patients. You will meet Madison at the initial visit alongside of the surgeon, through surgical procedures, and for follow up care. Patients feel comforted in her care and know they will be supported throughout their journey at the Breslow Center. 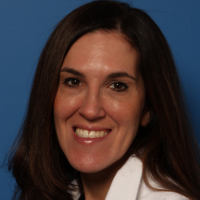 Kristen has had the pleasure of working with Dr. Meyer since 2003 as her Medical Assistant. Kristen is also a Certified Pharmacy Technician. Prior to entering the OBGYN field in 2000, she was employed by an ophthalmologist as well as a neurosurgeon. Kristen not only triages the patients for Dr. Meyer but also fields the majority of incoming patient calls as well as filling prescriptions. Outside of work, Kristen is a proud mom to two beautiful children, Edoardo and Jessica. She enjoys spending quality time with friends and family. Denise offers over 20 years experience in business management and marketing. She is dedicated to ensuring all facets of our practice run smoothly. Her number one goal is to provide optimal patient satisfaction at the Breslow Center. 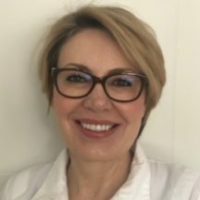 Her strong leadership and analytical skills in conjunction with her ability to work both as a team leader and team member make her an asset to our practice. If you have any questions or concerns Denise is always available and willing to help. 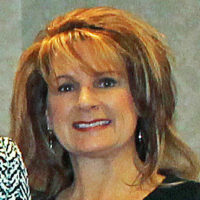 Cheri brings 25 years of business experience to the practice. She is the Patient Care Coordinator for all non cosmetic procedures. She will coordinate all aspects of your procedure from the beginning to the end. Her goal is to provide the patient with a stress free environment prior to their surgery, by ensuring that the every detail in the coordination of their procedure is taken care of. She is always here to listen, to advise, and to lend a caring ear. Veronica’s career in the medical field started in 2009. Initially, she began as a certified nursing assistant while obtaining her nursing degree. She then furthered her nursing career as an RN at Hackensack University Medical Center where she had the significant role of bedside nursing for 5 years. While she embraced this role, she knew she always had a passion for plastic surgery and aesthetics. Since 2017, Veronica has chosen to focus her career in plastic and reconstructive surgery. Veronica’s expert care and precision with injectables enables patients to achieve natural yet dramatic results. She brings a wealth of knowledge in facial anatomy and cosmetic injections having worked alongside a board certified plastic surgeon. She has received all of the necessary certifications in Dermal Fillers and neurotoxins. She is certified in microneedling and IPL laser treatments and is trained in Hair Restoration. 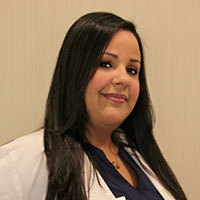 Veronica is very passionate about continuing education and is dedicated to keeping up to date on the latest procedures. Veronica’s focus is making her patients feel and look their best! Once you arrive at The Breslow Center, you will be greeted by Nelly. She is client focused and will welcome you with her contagious smile. 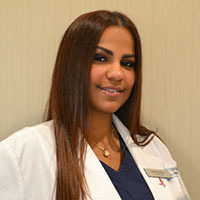 Nelly has worked in the medical field since 2009. Prior to joining The Breslow Center in 2015, Nelly held a similar position in a dermatology practice. In her free times she enjoys spending quality time with family and friends. She loves nature and enjoys outdoors activities. Nelly is very passionate about helping others and is a volunteer at Strengthen Our Sisters, a shelter whose mission is dedicated to breaking the cycle of domestic violence, poverty, and abuse by restoring balance and harmony through individual empowerment. Krystle is the Front Desk Coordinator/Administrative Assistant for The Breslow Center. She has been working in the Medical field for over since 2007. She began her career at Columbia University Medical Center in Gynecological Oncology. 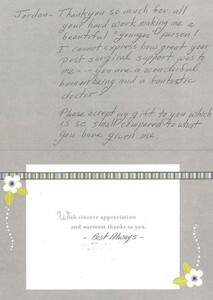 She then moved into private practice, ranging from Bariatric surgery to Plastic Surgery. Krystle joined the Breslow team in 2014 and ensures that our Front Desk runs smoothly, is involved in many aspects of the practice and is right hand to our Practice Administrator. In her free time she likes to spend time with her family and enjoys partaking in outdoor adventures with her children. She also dabbles in children’s party planning and she loves to cook and bake. 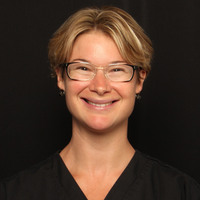 Krista comes to the Breslow Center with over ten years’ experience in medical esthetics. After receiving her BSN in business management from William Paterson University she decided to follow her passion of skin care and attended Christine Valmy International School of Esthetics. Following graduation, she was trained in many areas of esthetics including advanced medical esthetic treatments. Krista thoroughly enjoys educating her clients on the importance of implementing a daily skin care regimen. She creates a customized treatment plan for each patient that will achieve their skin care goals of healthy, glowing skin. Her passion and knowledge for skincare are apparent in patient following she has developed. In her spare time, Krista enjoys hiking, yoga and spending time with her family and her beloved dogs. Dawn is a graduate of the Artistic Academy. She chose Esthetics as her career after realizing her passion to help people feel good about themselves. She believes the esthetics industry offers an ongoing learning experience and keeping up with available knowledge is critical to being the best esthetician possible. She understands how pigmentation, adult acne and premature aging not only put your skin in jeopardy, but also your self-esteem and confidence. Dawn believes that by providing her clients with the knowledge, a customized plan and tools to correct the situation, she can help each individual client reach their skin care goal. She is excited to help her patients improve their appearance and looks forward to their next visit as an exciting step on their path to healthy, beautiful skin. When she is not working, Dawn enjoys playing golf and loves to cook. 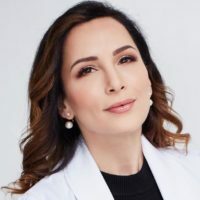 Irina believes in educating her clients about new innovations in skincare, so that by using the right regimen and products her patients can improve their completion while addressing and correcting skin problems or concerns. She will oversee your treatment plan and can reverse and prevent most issues associated with aging and create beautifully smooth and luminous skin.